1800DRIVERS is Australia's leading Truck Driver Recruitment and driver hire agency. Just because you have a Drivers Licence does not mean you understand road safety. We put safety first and ensure that all candidates have the appropriate experience for your job. Search more Powered by our partner Jobdroid. I would like to take this opportunity to say a HUGE THANK-YOU for a great business relationship during my time here at Sydney Timber Supplies.It has truly been a pleasure to deal with you and I hope to work with you again in the future. The quality of the drivers are good to very good. I would give attendance and punctuality of the drivers good to very good. Drivers are always well presented. We needed drivers with the right temperament that don't hit things. 1800Drivers found those drivers out of the haystack. HR is any businesses biggest headache and I have found that with 1800Drivers communication and professionalism I can concentrate on running my business not my drivers. Fantastic service. Within a day of completing my profile, I was put forward for a job by 1800Drivers and was accepted for the role. Thanks! I have been working for 1800Drivers for years. The staff are always courteous, Friendly and willing to chat. Love the girls in the office but enjoy a yarn with David too. I am always happy when they call to offer me work and hope to continue driving for them for many years. 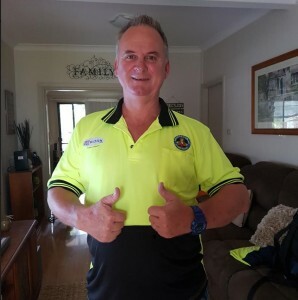 "I have worked through Drivers, all very good, can and will recommend them"
1800DRIVERS is Australia's leading supplier of Truck Drivers to the Transport and Logistics Industry. 1800DRIVERS is a specialist recruiter for Truck Driving Jobs in Brisbane, Sydney, Melbourne, Adelaide and Regional centres. Put yourself in front of Employers. Thanks to our partnership with Jobdroid we can put you in front of employers so that you can start working sooner. In many cases, our Drivers will start same day.